Hailed by Inc. Magazine as the “Rightful heir to Thomas Edison”, people in technology listen up when predictions are made by inventor Ray Kurzweil. So when Google’s Head of Engineering mentioned 3D Printing at last week’s Google I/O 2014 meeting in San Francisco, the entire industry perked up its ears. It seems many designers and engineers are looking at the natural world for influence. Take for example the work we recently reported coming from Jennifer Lewis’ Lab at the Wyss Institute for Biologically Inspired Engineering. 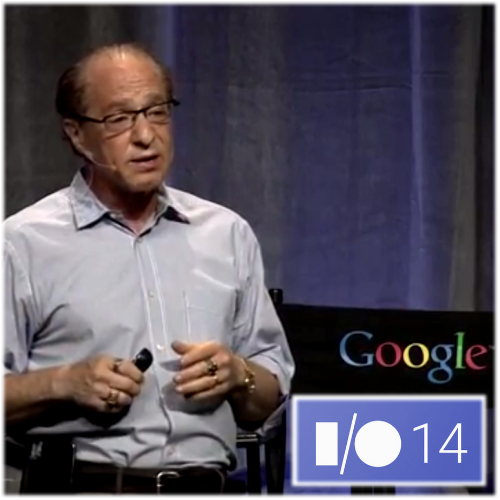 So it seems appropriate that Mr. Kurzweil’s talk at the Google tech-fest was centered on Biologically Inspired Models Of Intelligence. What was surprising was 3D Printing being mentioned in the same breath. While the futurist predicts that it will take another 5 years before additive manufacturing can radically impact mainstream markets, he does see 3D Printing as a disruptive technology – in the pure definition of Harvard’s Clayton Christensen. Of course, it is open source that mosts interests Ray Kurzweil at this time, and he expects that the ability to share designs will drive 3D Printable fashion to be commonplace by the 2020’s. Well, for someone like me who failed home economics when I had to sew a jumper that did in fact look like a sack, downloadable designs are going to be key. Content is king in 3D Printing! I buy Armani for a reason…I don’t want to look like a bag lady! And if I had to design my own 3D Printed creations, well, it would not be a pretty picture. To watch Mr. Kurzweil’s complete presentation go here and be prepared to be wowed!